Born in France to an American Quaker mother and an Anglican father from New Zealand, Merton was raised in several different countries, moving often, especially after his mother’s death when he was six and then his father’s death when he was sixteen. Although agnostic as a young man, he was increasingly drawn to the Catholic Church, despite an almost libertine period in which he may have fathered a child. He was confirmed in 1939 after receiving advanced degrees from Cambridge and Columbia Universities. Merton entered the Gethsemani Monastery in Kentucky in 1941, and began a life of contemplation and writing resulting in the autobiographical work The Seven Storey Mountain, often cited as one of the most influential books of the twentieth century. His interest in other religions and his friendship with the Dalai Lama, D. T Suzuki, Chatral Rinpoche and other spiritual leaders opened the doors of comparative study to many who seek understanding through self-examination. Stay Tuned for my new Recipe! Put an Asian Twist on the "Traditional Thanksgiving Turkey with an "Asian Infused" Turkey Brine! Who knew passing the refrigerator case with fresh turkey’s during my routine Sunday morning shopping trip to Market Basket yesterday would be the cure to my sadness of not hosting this year’s Thanksgiving Holiday! Just Back from vacation, with a desperate need of groceries, and the realization of the holiday season fast approaching, Sunday morning, I took a quick scan of the frig and pantry before heading out to shop. Made mental note of a few key ingredients on hand like, hot peppers from the garden still fresh and firm in the crisper drawer, and a half filled bottle of soy sauce on the door shelf. With Lone Gull Tea in hand I entered Market Basket, and immediately noticed holiday packaging, and speciality items strategically placed throughout the store. Right then I knew I had to go with the flow of life, and not let my disappointment of not hosting this year’s traditional feast day on the 28th, stop me from creating a special Thanksgiving feast for my family. Since tradition was already set to be broken I decided to embrace our non-traditional year with a non traditional feast with all the fixing! Over the years I have read numerous articles about the the likes and dislikes of roasting a turkey using traditional roasting methods verse roasting birds that have been prepared in a brine. In keeping with non-tradition I decided to go out of the box and prepare a brined turkey for the first time! Inspired by the ingredients I made mental note of before heading out to shop on Sunday I began creating this new “Asian Infused Turkey Brine” for this week’s scheduled family dinner! Stayed tuned for the final out come and reviews Thursday here on GMG Sista Dish! 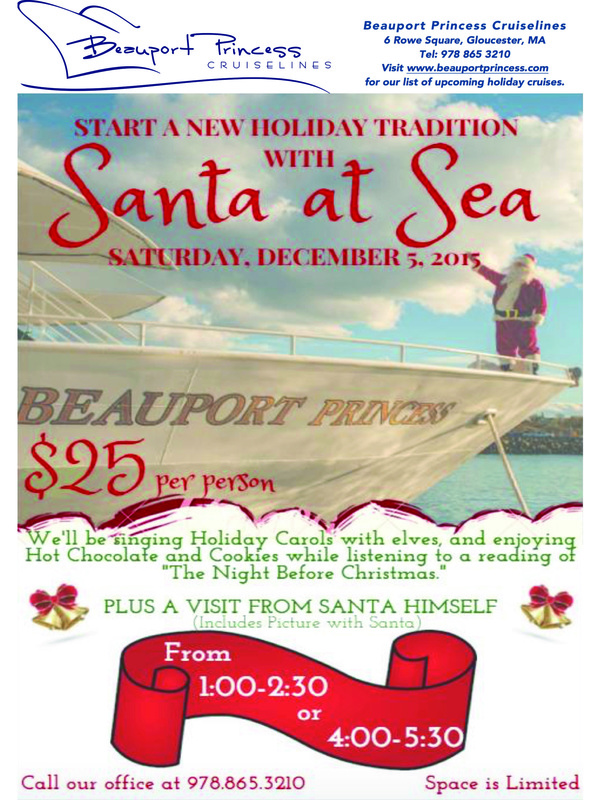 SANTA AT SEA AND CONGRATULATIONS TO TERRY WEBER! Best wishes to GMG’s own Terry Weber! 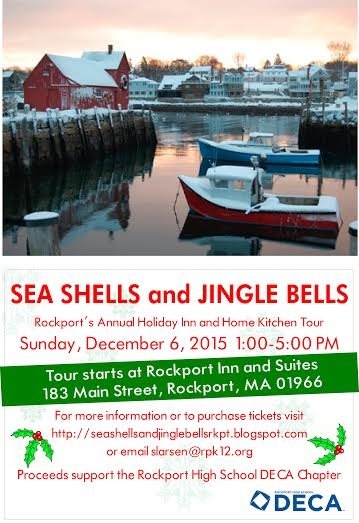 She was recently hired to do marketing for Seaport Grill and Cruiseport. We know her as a super writing talent and are sure she will be fantastic in her new position! Congratulations Terry!! 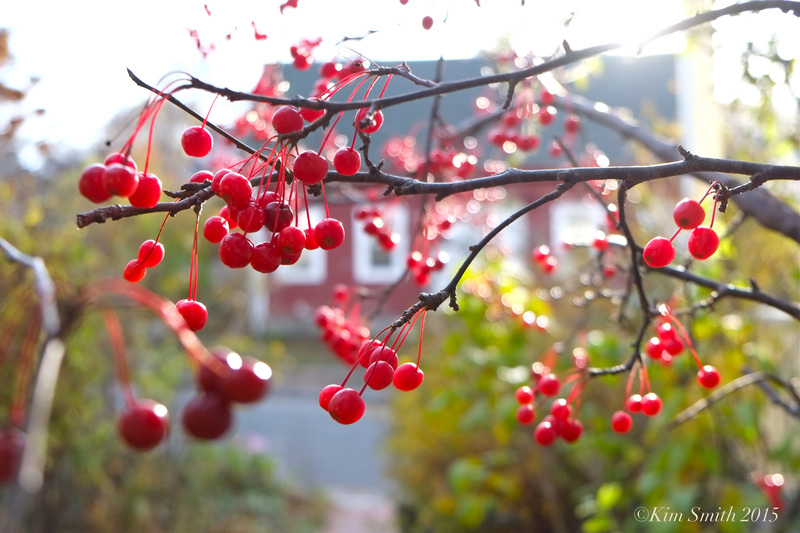 Crabapples in the warm November sun equals winter bird food for Robins! Papa and Nonnie had four of our grandchildren for 5 days. What fun we had here in Gloucester. He is a couple of photos to show how much fun we had right here in wonderful Gloucester. 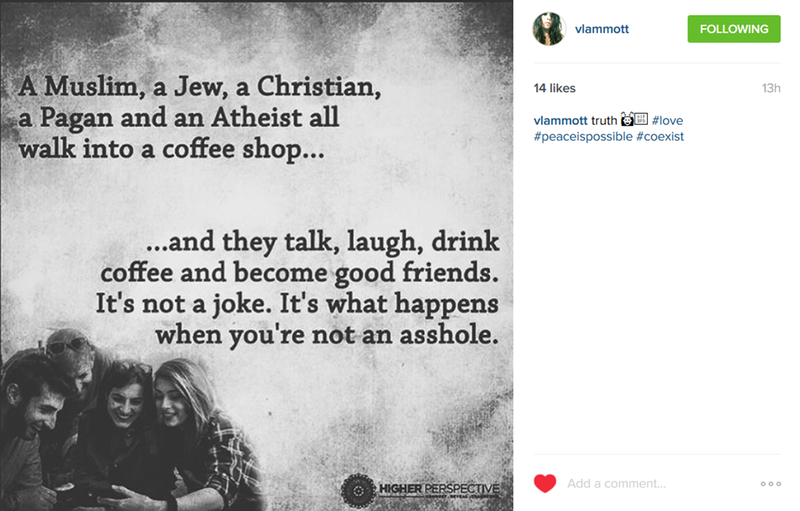 Posted on November 16, 2015 November 12, 2015 by E.J. Sat/Sun Dec 12-13, 10 am to 6 pm; Sat/Sun Dec 19-20, 10 am to 6 pm; Sat/Sun Dec 26-27, 10 am to 6 pm. Gloucester MA—The Rocky Neck Art Colony (RNAC) presents the third annual Holiday Art and Crafts Festival, open to the public on five consecutive weekends starting with a preview party from 6 to 8pm on Friday November 27 at the Cultural Center on Rocky Neck, 6 Wonson Street, Gloucester. The Holiday Festival is open for holiday viewing and shopping from 10 am to 6 pm, Saturdays and Sundays Nov. 28-29, Dec. 5-6, Dec. 12-13, Dec. 19-20, and Dec. 26-27. The public is invited to enjoy a festive event each weekend. · Saturday, Dec 5, 2 to 4 pm: Season’s Best Cookie Contest – sample homemade cookies and hot chocolate. Vote for your favorite. · Sunday, Dec 27, 2 to 4pm : Yankee Swap – bring an extra wrapped gift, or something you have around the house (value $5 to $25) and join the fun. The Cultural Center at Rocky Neck, the official Welcome Center for Rocky Neck and home of the Art Colony, hosts exhibitions, workshops, meetings, lectures and cultural events of all kinds. The Center is open Thursdays – Sundays, year round. For more information about the Holiday Festival or Cultural Center at Rocky Neck, please contact the RNAC Executive Director at 978-515-7004 or director@rockyneckartcolony.org. Gloucester runs by Winthrop 41-7 for another easy win.. Next will be Thanksgiving against Danvers. 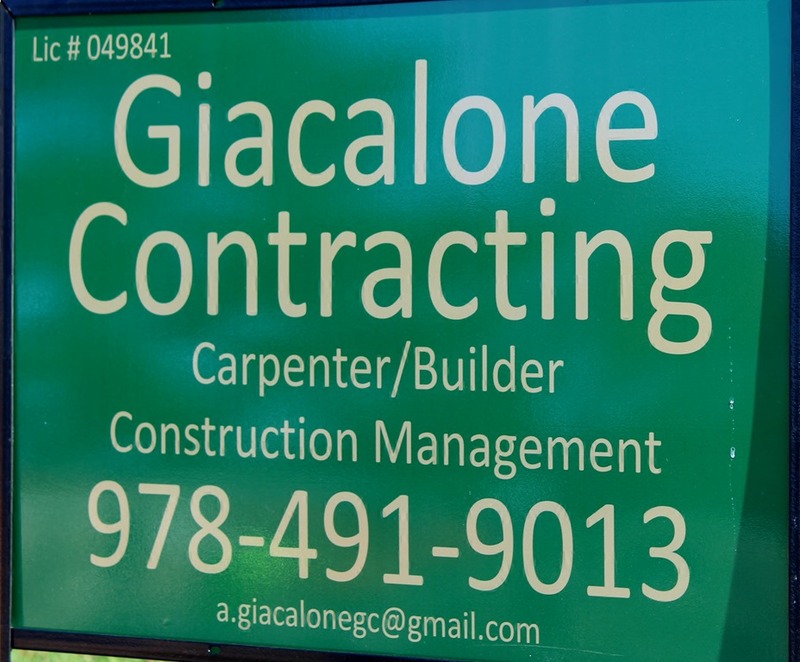 Giacalone Contracting built the “New Fort Wall” on the property being developed at the Fort. The Town Directors wanted to give a huge thank you for your participation during the first season of Flag Football. 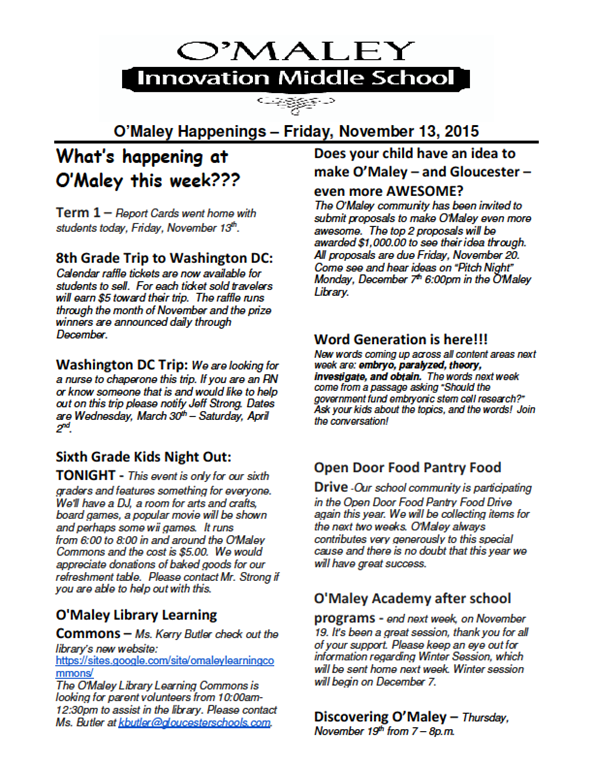 It was an incredible year , lots a of great games and times at Omaley each Sunday. We had a blast getting this up and running and hoped you enjoyed as much as we did . We are having the first ever Tournament of Champions being held at Omaley on November 22 , all day events going on numerous games teams from many cities participating. Hope to see you there and come cheer on our own city Champions the Jaguars and the Eagles , as well our runner ups Falcons and Chiefs. Amid a Four Interception One Fumble Zero QB Rating Game Yesterday. During the last Homiecast just as I predicted when the season wears on Peyton would crumble like he does every year but we get to listen to the nonsense from Peyton manning lovers like Craig MF Kimberley. Here is a collection of sunrises I have photographed during our last twelve years of summer vacations in Gloucester. The photos were taken mostly on my iPhone, so the quality varies. We missed the summer of 2013 because we took the family on an Alaska cruise for our 50th anniversary, but otherwise we have spent 2 weeks in Gloucester every June or July for the last dozen years. We can see the sun rise from our bedroom in the house that we rent, so I (and whichever of my daughters and grandchildren want to join me) go traipsing down to the beach at 4:30 AM or so. This summer we had an amazing sunrise double rainbow. I have seen some folks contributing sunsets and so forth, and thought you might like to see these. A LOT of Hockey was Played! Posted on November 16, 2015 November 15, 2015 by Nichole S.
Thanks to the large number of fans who made a point to stop by and watch some fantastic hockey get played over the course of the weekend. I even spotted the Mayor in the crowd at one point! The Sal Grasso Memorial Westmount Friendship Tournament was a huge success…and not just because Cape Ann won. Although I’d be lying if I didn’t admit that fact helps. If that sounds mean, check out the photo below that clearly shows that Westmount has been victorious a painful 18 out of 22 years…with Cape Ann only keeping the trophy safe for four. But, not this year! Because it is a friendship tournament and we have nothing but respect for Westmount and our long-standing friendship with them, I will simply state the facts. At the end of the 24 games of play this weekend, Cape Ann hung up their skates with 16 wins, 4 losses, and 4 ties. MUCH more important than the final tally is the fact that some friendly and topnotch hockey was played. Cape Ann teams clocked serious hours at the rink to support other teams (as did their Canadian counterparts for sure), players shook hands, hugged, cheered, and stood quiet and still while each other’s National Anthems were played at the beginning of each and every game. And, while the children were blissfully unaware, it was impossible to keep Paris, France out of one’s thoughts as our anthems played on…while chaos was simultaneously unfolding across the Atlantic. Likewise, with hands on hearts every 60 minutes or so all day long on Saturday, it was hard not to think of the hearts that were breaking across the way. This tournament is about friendship…about camaraderie…about respect…and some healthy competition. 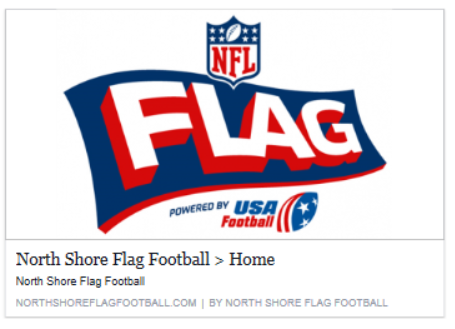 Shared between two communities far, far away from each other, who share a passion for a sport. While I have hundreds of action shots from the weekend… it is shots like these that summarize what the weekend was all about. Congratulations to ALL of the players! While you thought you were just playing hockey this weekend…you showed us much, much more. 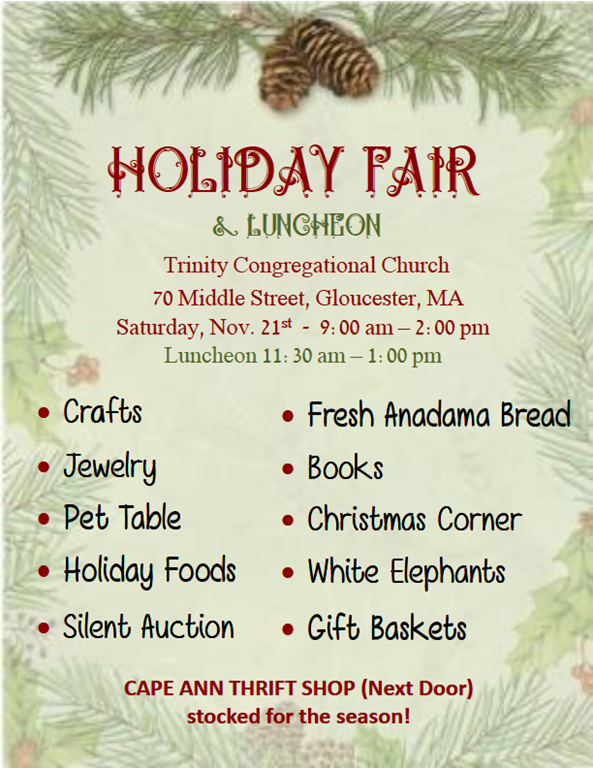 Trinity Congregational Church will be holding its popular holiday fair during the Harvest Festival, November 21st. Stop in to enjoy some of their signature fresh homemade Anadama Bread, other Holiday Foods, Jewelry,Gift Baskets, and Children’s Activities. Also look for the Open flag on Middle Street for their Thrift Shop. 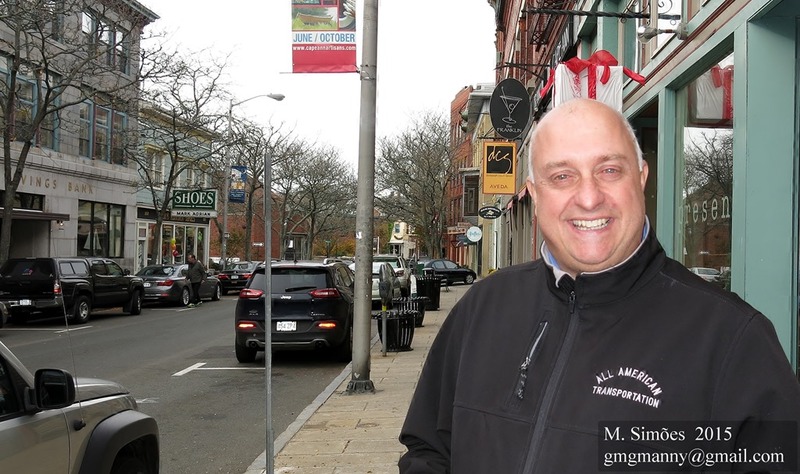 Gloucester, MA — As part of a national partnership with Meals on Wheels America, Subaru will donate $250 to the purchaser’s choice of a participating charity – one of which is Meals on Wheels – for every new vehicle sold or leased from November 19, 2015, through January 2, 2016. Since the Share the Love Event began in 2008, Subaru and its participating retailers have donated more than 1.2 million meals, safety checks and friendly visits to seniors being served by local Meals on Wheels programs across the country. SeniorCare Inc.’s Meals on Wheels program brings a daily meal right to the door for frail and homebound elders, Monday through Friday. Menus are designed by nutrition experts to meet the needs of older adults and are prepared by a professional caterer. In addition, homebound elders have a daily interaction with the delivery team—sometimes their only human contact that day. The Cape Ann Symphony’s annual Holiday Pops Concert, an exciting celebration of holiday music favorites including an audience sing-along, kicks off the holiday season on Saturday, November 28 at 8 pm & Sunday, November 29 at 2 pm. 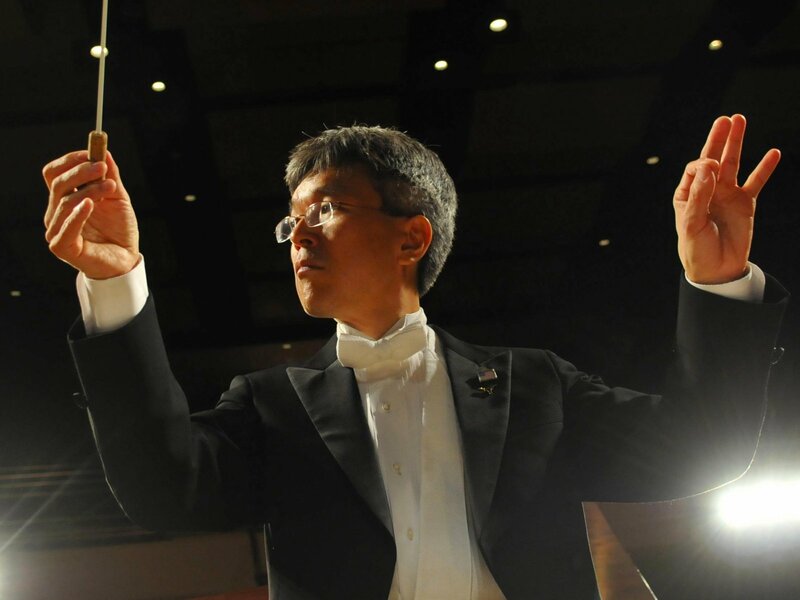 This joyful Cape Ann Symphony holiday tradition features the Cape Ann Symphony Chorus under the direction of Rockport’s Wendy Betts performing songs of the season with the orchestra under the musical direction of conductor Yoichi Udagawa. The 2015 Holiday Pops Concert features the return of “Yankee Swap! : White Elephant Gift Exchange” from Suite No. 4 “Cape Ann” for orchestra by Robert J. Bradshaw, a Gloucester based composer and CAS member. “Yankee Swap!” is a super fun musical take on the New England holiday tradition. “Yankee Swap!” wascommissioned by Cape Ann Symphony and premiered at the 2013 Holiday Pops Concert. The Cape Ann Symphony concerts are held at the Manchester-Essex High School auditorium on 36 Lincoln Street in Manchester-by-the-Sea, MA. Manchester-Essex High School Auditorium is handicapped accessible. Ticket prices are $40 for adults, $35 for senior citizens, $5 for Youth age 18 and under. For tickets and information, call 978-281-0543 or visit www.capeannsymphony.org.